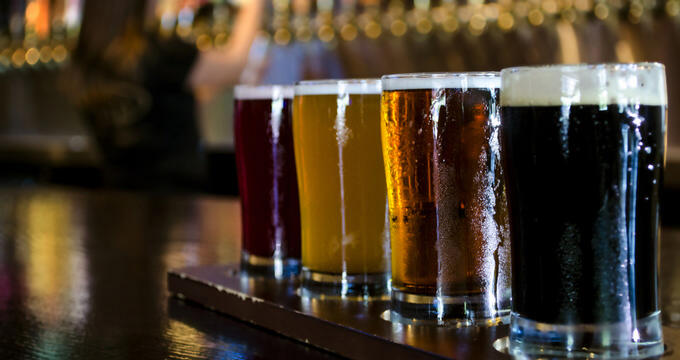 Missouri is home to a wealth of breweries that produce a wide range of beers and brews in a variety of styles that are available locally, regionally, nationally, and internationally. The Greater St. Louis area is home to the highest concentration of breweries, and home to at least 22 different establishments. 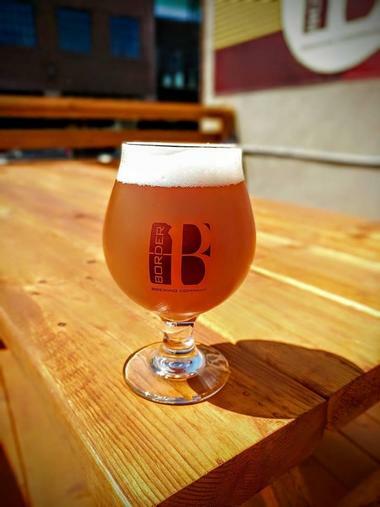 Located in the Crossroads Arts District, Border Brewing Company produces a wide variety of beer styles that range from casual to sophisticated, and that will satisfy both amateurs and aficionados. The brewery produces a selection of brews from dark beers, like chocolate-flavored stouts and rich-roasted porters, to session beers, like the Rooftop Red Ale, Patio Extra Pale Ale, and Campfire Porter. Bottled beers include Trapdoor Tripel, Mint Chocolate Milk Stout, and Raspberry Chocolate Milk Stout, while other favorites in tap range from Ribbon Cutter, an American IPA, Let's Get Tropical IPA, Pub Dweller ESB, and Shiftie IPA. Border Brewing Company has a taproom where beers can be tasted and purchased and are open seven days a week at various hours. 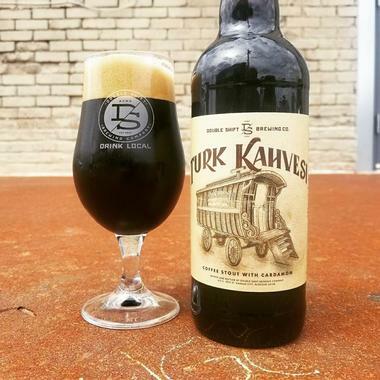 Bur Oak Brewing is a friendly, locally owned and operated a brewery in North Kansas City that produces a range of flavorful artisanal styles of brews and ales that are available for tasting and purchase at the brewery taproom. Signature beers include Bur Oak Armadillo, an American Pale Ale; Bur Oak Barrel-Aged Stout Heart, an American Stout; Bur Oak Big Tree IPA, a Double IPA; Bur Oak Boone County Brown, an American Brown Ale; and Bur Oak Cameron’s Crooked Nose, a Wee Heavy named after the Cameron Clan of the Scotland Highlands. 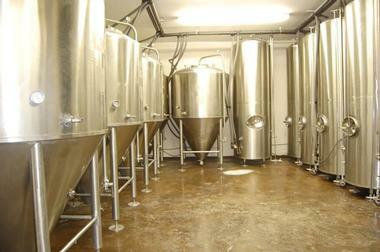 Bur Oak Brewing has a taproom where beers can be tasted and purchased and are open seven days a week at various hours. Cinder Block Brewery began as a home operation and grew into a successful 15bbl facility with a full taproom and barrel aging program that produces unique full-flavored beers with rich character. With a focus on wheat, porter and IPA brews, Cinder Block Brewery produces signature beers such as Northtown Native, Prime Extra Pale Ale, Block IPA, Pavers Porter, Weathered Wit, and French Cider. The brewery has a taproom where the brews can be tasted and purchased, offers guided tours of the facility and hosts several food trucks that sell a variety of fresh and fast food to enjoy while tasting. © Civil Life Brewing Co.
Civil Life Brewing Company is a locally owned and operated brewery set in an industrial-style warehouse space with a cozy pub and taproom, outdoor patio and a friendly, inviting ambiance. The brewery produces signature beers such as German Wheat, Pale Ale, India Pale Ale, Civil Common, Carlbock Lager, Pink Boots Table Beer, and Vienna Lager, among others. The taproom also serves a menu of light meals and snacks from Tuesday to Saturday with several sandwich options along with several appetizers. Tours of the brewery can be arranged with the owners and can be customized according to various needs, and the taproom is open for tastings and purchasing of beer throughout the week at multiple times. 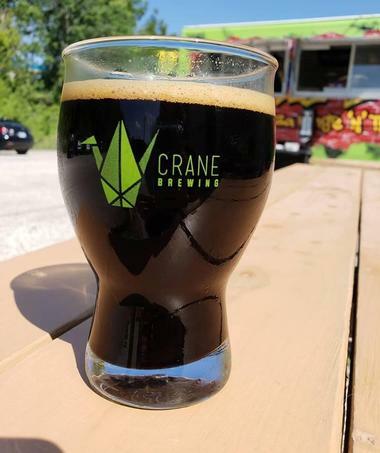 Located in Raytown, Missouri, Crane Brewing Company is a locally owned and operated brewery inspired by both the bold craft beers of America and the rustic ales of Europe. The brewery focuses on producing dry and rustic malts like those of Wallonia and the Senne Valley, fermented in wood and steel after the style of the old country. The brewing team take traditional methods seriously, harvesting yeast and propagating it in the in-house laboratory to produce the wild and sour beers that are the core of the company. Crane Brewing Company is focused on three styles, Saison, Berliner Weiss and Lambic and produce four standard versions of these styles year-round in 750 mL bottles and kegs, along with brewery-only special releases and one-off experimental batches throughout the year. Established in 2015 by a local firefighter, Aaron Ogilvie, Double Shift Brewing Company is a local brewhouse housed in an old bicycle shop in the East Crossroads Arts District in Kansas City that produces a range of unique and easy-drinking beers. Boasting a five-barrel brewhouse that produces signature brews and ales like Gully Town, a sour grisette; Bonk, a collaboration IPA; Monster Blood, a Brut IPA; Rival Turf, a hazy IPA; Tessellation, a wheat IPA; and Horchata Pirate, an oatmeal stout. Ogilvie learned to brew six years ago while studying at Kansas State University and continued to develop recipes and his craft after graduating and today, enjoys a dual role as brewery owner and firefighter. Ogilvie describes his brewing approach as “traditional but in a 21st century way” making a solid beer that will distinguish itself from newcomers to craft beer and veterans. 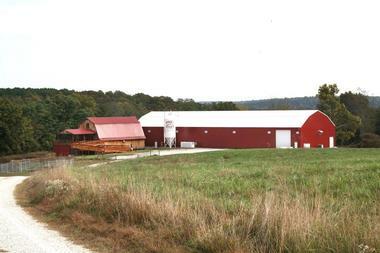 Ferguson Brewing Company was founded as the Hill Brewing Company in 2010 and later changed their name to the Ferguson Brewing Company to become a more regionally-based operation. Today, the brewery boasts a snug, yet efficient brewery space with a 20-barrel system that produces eight year-round brews and a selection of rotating seasonal beers. The brewhouse also has a cozy pub and taproom that offers the handcrafted brews to taste, along with a menu of upscale pub fare delivered in a woody, refurbished space. Visitors can view the working brewery through a glass window from the pub side while tasting some of the excellent beers produced such as Wit Wedding, Honey Mild, Golden Blonde, Imperial IPA, Pecan Brown Ale, Oatmeal Stout, and Unfiltered German Pilsner. 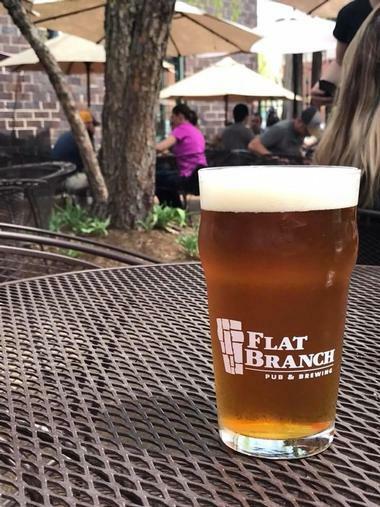 Flat Branch Pub & Brewing is a locally owned brewery based in a warehouse setting that produces a range of house-brewed beer, a large selection of whiskey and a menu of upscale American pub fare. Flat Branch’s all-grain brewing system consists of a mash tun and hot liquor tank combination; a steam jacketed, 10-hectoliter brew kettle; and a Vicarb heat exchanger that utilizes a 15-hectoliter cold liquor tank. Signature beers include Abbey Porter, Cave Dweller Barley Wine, American IPA, Amber Ale, Smash Porter, American Oak Baltic Porter, and Belgian Pale Ale, among others. Friendship Brewing Company was started by a group of friends that came together to make good beer with a focus on quality and creativity with a constant quest to learn and grow. The brewery focuses on promoting the craft beer culture and responsible enjoyment of quality beer, to honor the tradition of beer-making, and to savor each beer, each friend, and each day with a foamy smile. 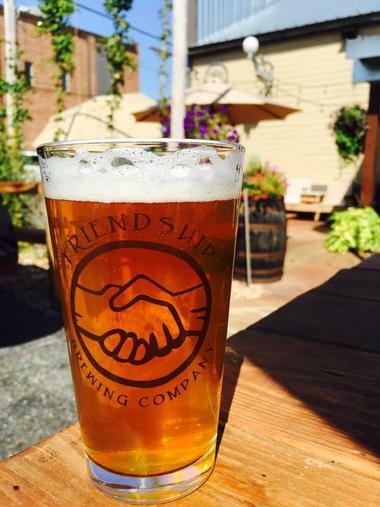 The Friendship Brewing Company produces 25 rotating taps and five house beers, along with local, regional, national and international guest taps. Signature beers include Wasabwitu? - a delicious blend of wheat malt and wasabi; Bignose IPA, a copious blend of NW Hops; Friendzy IPA, a hoppy summer IPA; Andrew’s Ale, one of the brewery’s most popular lighter beers; and Rasmanian Devil, a bold American Red Ale that is brewed with fresh sliced jalapeños and finished off with a hint of fresh raspberries. 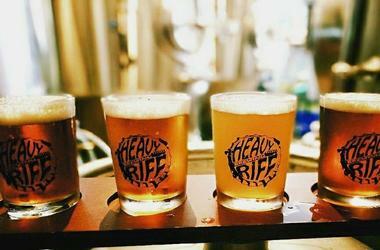 Heavy Riff Brewing Company is a comfy microbrewery and taproom featuring a full-service bar serving drinks and a menu of inventive pub grub and barbecue, and entertainment such as shuffleboard. 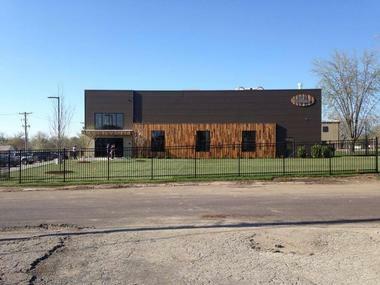 Located in the heart of the Dogtown neighborhood in Saint Louis, Heavy Riff Brewing Company produces 15 draft beers and house-made brews of unmatched quality, along with a mix of local and regional craft beer, a tremendous whiskey selection, and excellent wine selections. The brewery houses a 98-seat taproom where visitors can taste brews, ales, whiskey, and wine, enjoy a house-smoked barbecue with house-made sauces, and relax while watching the game on four large-screen televisions. 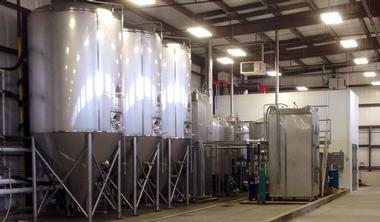 Kansas City Bier Company is a production facility that produces authentic German beers. The brewery features a tasting room and a lovely Biergarten for outdoor eating and drinking in the warmer summer months. A variety of brews are on offer, such as the Pils, which is a northern German-style pale lager, the Dunkel, a traditional Munich brown lager, and the Festbier, a conventional beer served at the Munich Oktoberfest. Four rotating styles are offered for winter, spring, summer, and fall that fall in line with historical beer-making traditions and the weather of the Kansas City climate, all of which are available on draught in the Bierhalle and Biergarten and bars and restaurants around the city. A range of delicious German-style snacks is also available such as sausages and pretzels. 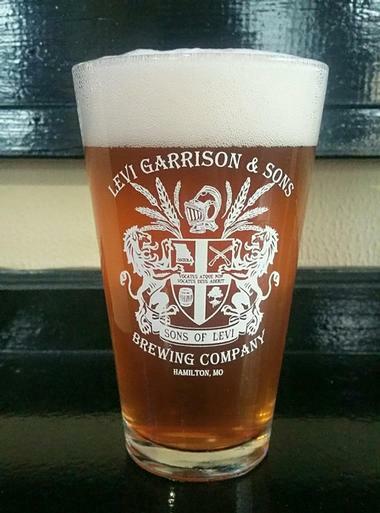 Previously known as Ninja Moose Brewery, Levi Garrison & Sons Brewing Company is owned by Scott Falke who changed the brewery’s name in response to a trademark issue and renamed it after his great-grandfather, Levi Garrison, whose sorghum company was called Levi Garrison & Sons. 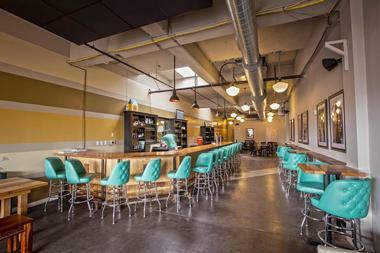 Housed in an old brick telephone company building, the brewery features a one-barrel brewhouse and small taproom and with a cozy, communal atmosphere, and offers a tap selection of 10 year-round beers and two seasonal brews, including the Second Amendment Amber Ale, and Deacon’s Oatmeal Cream Stout along with the Farmhouse Ale, Pale Ale and Wheat. 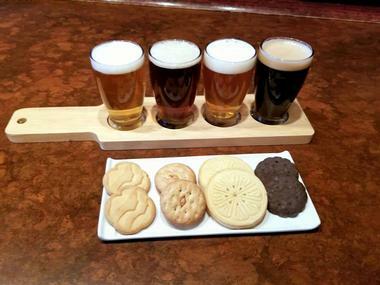 Logboat Brewing Company is an award-winning brewery with a fun, laid-back ambiance that produces and offers a variety of mainstay and seasonal brews. Named after Missouri, which means ‘people of the dugout canoes,’ Logboat Brewing Company provides both amateur beer drinkers and aficionados the opportunity to try creative, flavorful and thoughtfully produced brews, including the the Mamoot with subtle notes of jam, chocolate, and coffee; the Lookout, an American pale ale with a creamy caramel body and crisp citrus notes, and the Shiphead, which is brewed with Peruvian ginger. Logboat Brewing Company also hosts many events along with several food trucks selling hearty, homecooked fare, and aims to be a fun, gathering spot for the community to come and enjoy great beers, good food, and a friendly, welcoming atmosphere. 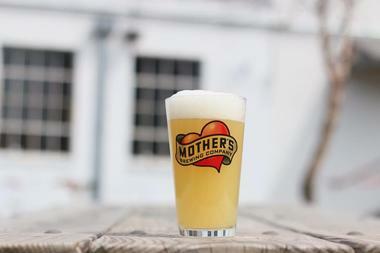 Mother's Brewing Company is a friendly, locally owned and operated craft brewery located in Springfield. Based inside a historic building dating back to 1902, the brewery’s stylish interior was designed and built using reclaimed materials, including wood, lamps and other accents taken from the original building. The brewery produces an excellent selection of brews and ales, including the year-round Towhead, an American blond; London’s Burning, a smoky porter; and the seasonal Spring Batch, a delicious farmhouse-style ale. All of these beers and more can be tasted and enjoyed in the tasting room, and guided tours of the brewery are available on request, offering visitors the chance to learn more about the beer-making process, the ingredients used and the industry as a whole. Located in the South Carondelet neighborhood in St. Louis, Perennial Artisan Ales is a favorite brewery specializing in small batch craft brews. Inspired by American and Belgian styles of beer, the brewing team uses local, seasonal, and organic ingredients when possible and produces several excellent brews and ales. Signature beers include the flagship Saison de Lis, a Belgian-style Saison brewed with chamomile flowers, and the 17, a seasonal Imperial Stout with cocoa nibs and mint leaves. The brewery offers regular tours around the facility, along with tastings of the products, and to complement the beer, a variety of seasonally changing light fare is available. 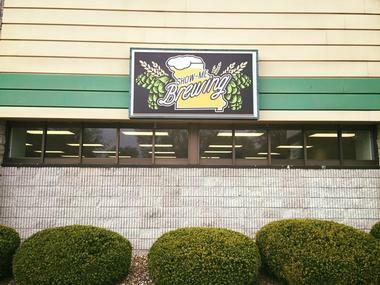 Based in a beautifully renovated 70-year-old barn in Bucyrus, Piney River Brewing Company is an award-winning brewery where beer lovers and aficionados can sample a selection of distinct brews in a relaxed, inviting atmosphere. Paying tribute to the spectacular surrounding natural landscapes of the Ozarks, the Piney River Brewing Company produces acclaimed blends, including gold medal winners the Float Trip Ale, a smooth blond ale with a hint of fruitiness, the Black Walnut Wheat, the seasonal Crankbait Cream Ale, and the Old Tom Porter with rich coffee and chocolate flavors. The taproom offers tastings throughout the week, and although does not serve food, visitors are welcome to bring their own. Rolla’s first brewpub, Public House Brewing Company began as a desire to brew classic world beer styles and has since grown into a successful brewing business that crafts flawless interpretations of modern beer. 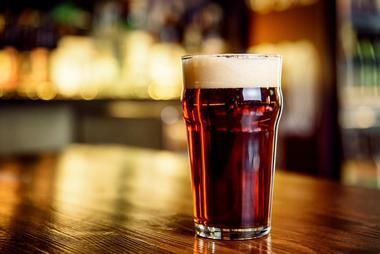 Public House Brewing Company focuses on ‘session’ beers along with a range of specialty brews such as Rod’s Cream Ale, Bird and Baby Mild, and the Revelation Stout, as well as the seasonal Thorn and Heat Strawberry Wheat and Flynn’s Irish Red. These outstanding beers and ales, along with others, can be sampled in the taproom Monday through Saturday, and a small menu of flavorful fare is available. Guests are also allowed to bring their food. Show-Me-Brewing is a full-service homebrew supply store and hands-on brewing instruction that helps new and experienced brewers alike to make the best beer possible. Located in Springfield, the store sells the most extensive selection of high-quality grains, hops, and yeast in the region, along with an extensive range of beer-making equipment and essentials. In addition to being a full service homebrew supply store, Show-Me-Brewing also houses a high-end, professional grade brewing system where people can brew their beer, with the help of an experienced brewing specialist. The system allows brewmasters to create their beer from recipe construction to fermentation and finally bottling, in a variety of styles and flavors. Show-Me-Brewing is also a licensed microbrewery that produces and sells small-batch, in-house craft beer by the glass and growler. Located in Maplewood, Side Project Brewing 100% barrel-aged brewery that focuses on producing outstanding small batch brews. Founded by Cory and Karen King, who followed their passion for making award-winning craft beer, Side Project Brewing creates a variety of unique drinks, including wild ales, Saisons, and spirit barrel-aged ales, such as the Saison de Fermier Blend #3, and the Belgian-inspired brew, the Grisette Batch #2. Visitors can taste a selection of the beers and ales in the tasting room, known as The Cellar, which is an inviting, rustic, Belgian-inspired venue with a relaxed ambiance. Founded in 2015 out of the passion and enthusiasm of the husband and wife team, Ryan, and Lindsay Sherring, Six Mile Bridge is a Maryland Heights-based brewery that focuses on producing quality ales and beers. Named after a small town in Ireland, which is nestled precisely six miles between two major towns, Six Mile Bridge Brewery produces a range of year-round and seasonal brews, including Bavarian Hefeweizen, a light and refreshing unfiltered wheat beer with subtle hints of vanilla and citrus; Blood Orange Wit, a traditional Belgian Witbier with a citrus twist; and Coffee Maple Stout, a malty meal brewed with Guatemalan coffee beans Vermont maple syrup. 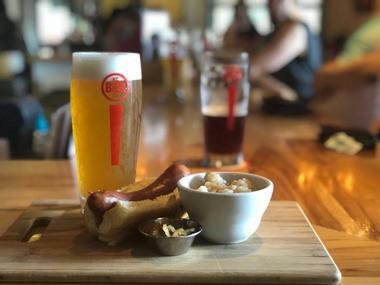 The Big Rip Brewing Company is a locally owned and operated microbrewery boasting an intimate, bring-your-own-food taproom with a range of creative house brews and a full-service bar. Founded in 2013 by two friends with a passion for beer and wine, the Big Rip Brewing Company is a burgeoning 4bbl brewery with the aim of creating unique beers that appeal to both beer-nerds and people new to craft beer. 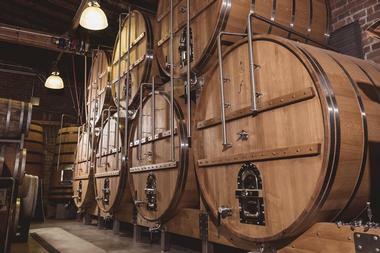 The brewery produces small batches on a 4 bbl system that uses a custom computerized control system and glycol chilled fermenters, including signature beers such as Six Demon Bag – Sour Brown; Hefe Sour; Scotchlander Wee Heavy Barrels; Scotchlander Wee Heavy; Imperial Coffee Porter; and Sour Sweet Brown Ale with Cherries. 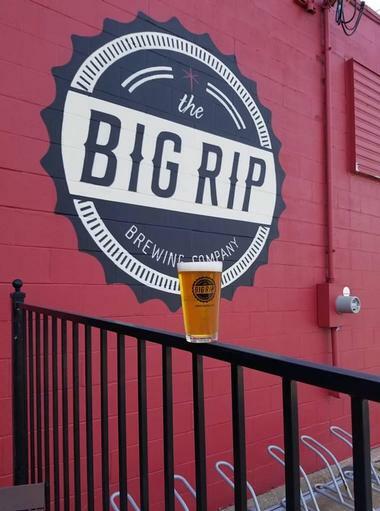 The Big Rip Brewing Company has a comfortable taproom where visitors can taste the brewery’s tipple and enjoy smoked barbecue from Hawg Jaw Que & Brew next door, or their food. 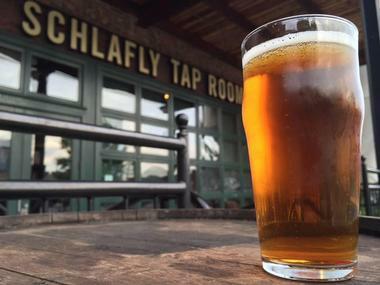 The Schlafly Tap Room is a convivial microbrewery that produces signature beers paired with hearty pub grub, and hosts live music on weekends. Founded in 1991 in the backyard of the world's largest brewer and housed in a beautifully restored turn-of-the-century brick and timber building in downtown St. Louis, The Schlafly Tap Room provides a casual setting for pairing more than 16 Schlafly draft beer styles with classic European pub fare. 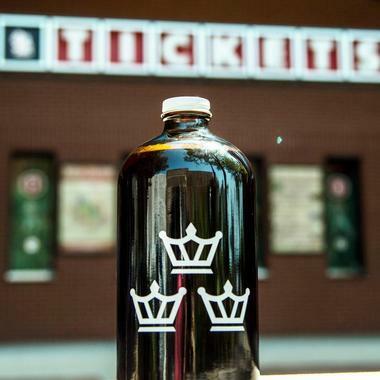 Today, the brewery is the largest locally-owned independent craft brewery in Missouri and produces signature brews such as Pale Ale, White Lager, IPA, Pilsner, Kolsch Ale, and Oatmeal Stout, as well as individual releases like Double Bean Blonde Ale, Coconut Crème Ale, Pumpkin Ale, and Merry Berry Ale, all of which can be sampled in the tasting room throughout the week. Located in the heart of St. Louis, Urban Chestnut Brewing Company is a local brewpub producing small-batch brews and offering an accompaniment of light fare to pair with its distinctive craft beer. 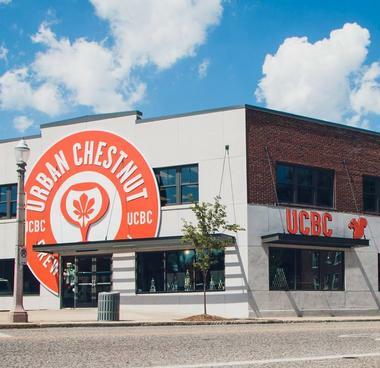 Urban Chestnut Brewing Company, otherwise known as UCBC, has a state-of-the-art, 20 bbl brewhouse that produces signature beers such as Kinsale Stout, Kleinmannekan, Holzrauch, Zucker Weisse, and Harwood Myth. Helmed by German-born brewmaster, Florian, the brewery adds Bavarian touches to the tasting experience such as using Biergarten tables from Europe and authentic German serving ware of steins, as well as planting shade-giving chestnut trees around sizeable outdoor Biergarten. Housed in a 1924 building in Springfield, White River Brewing Company is a small batch brewery that produces a range of European-inspired beers with a local twist. Drawing inspiration from Belgium, Great Britain, and Germany, the brew team uses only the freshest and highest quality ingredients to create a selection of seasonal and year-round beers and ales. 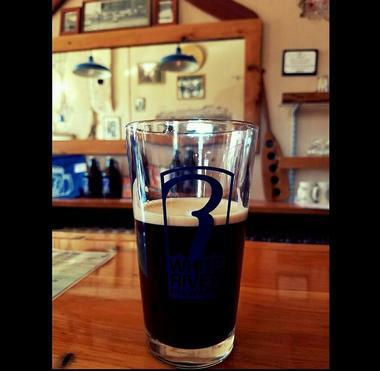 White River Brewing Company features a cozy tasting room, a pleasant outdoor space and an event center, which can be rented for special functions and celebrations. Signature beers include the Copper Creek IPA, the Table Rock Red Ale, an Irish red ale, and the Belgian-inspired White Creek Wit. 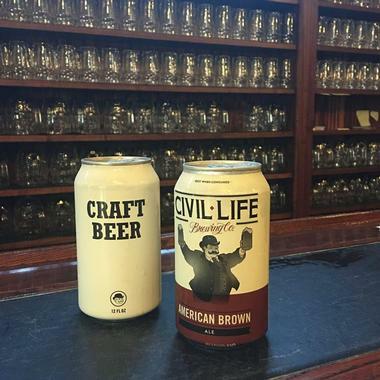 Civil Life Brewing Co., Photo: Civil Life Brewing Co.